Unwind and relax at our perfectly located hotel. Look out across the sea as you enjoy your comfortable and classic room, a real home from home with a touch of luxury. With exquisite views out across the ocean, take the time to savour the treats for both your eyes and stomach. Let yourself indulge in a relaxing, calm morning. After an exciting day exploring the local area, we know you will want to climb into a comfortable bed. Our rooms are the perfect place to get a restful night’s sleep. The countryside is the perfect place to escape to, and a Cornish or high tea is the perfect way to really unwind and indulge during your special break. 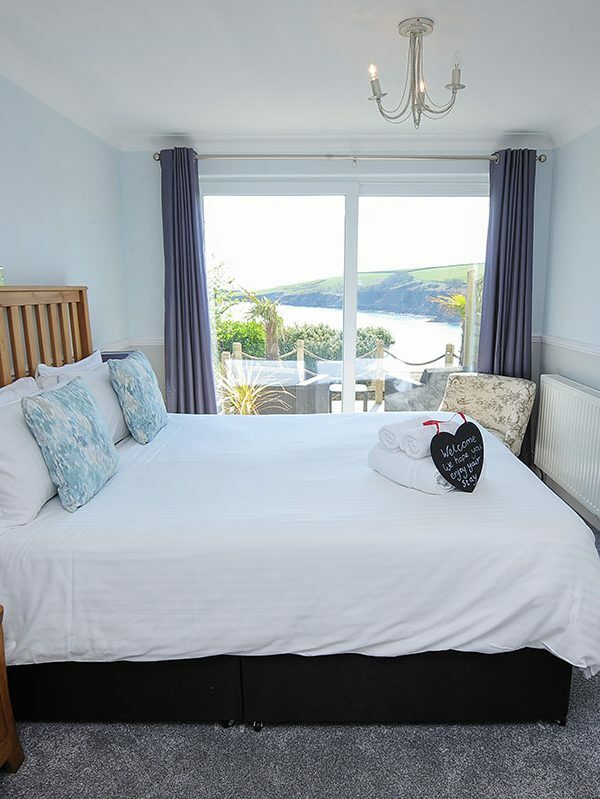 We believe we have probably the best hotel location in the Mevagissey Bay area; the views are second to none and we are perfectly placed to take advantage of the amazing South West Coastal Footpath. The perfect combination! 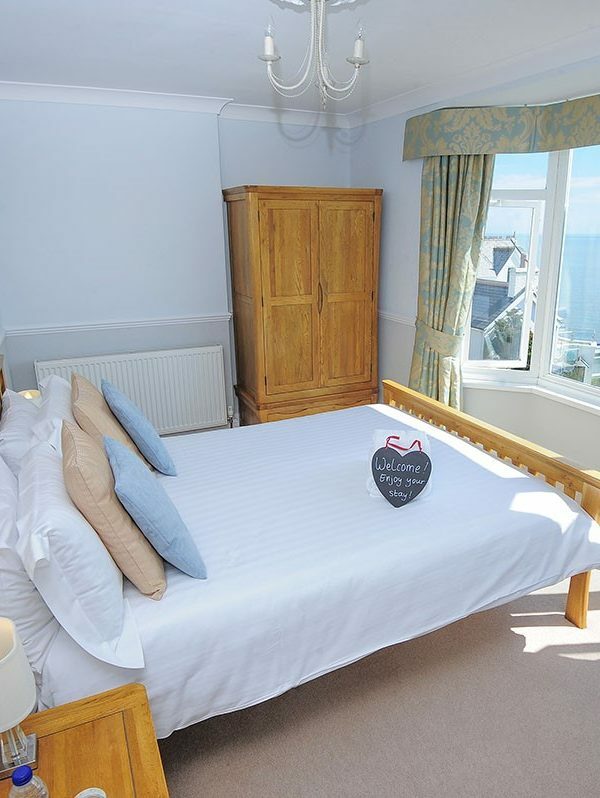 All rooms are en-suite, some with full sea views. Our premium room has both a shower and large bath tub and its own terrace looking out over the bay. It really is the perfect place with a view and it’s here all year round! The public areas include a beautiful lounge and bar area with sea views and a second quiet lounge with a log fire for those cold winter days. On sunny days head to the outside deck for a drink or cream tea no matter what the time. The hotel’s location means that you can easily access some of the most popular attractions in the Duchy within 45 minutes driving, including The Eden Project, The Lost Gardens of Heligan and many others. It’s a great spot to see the county. 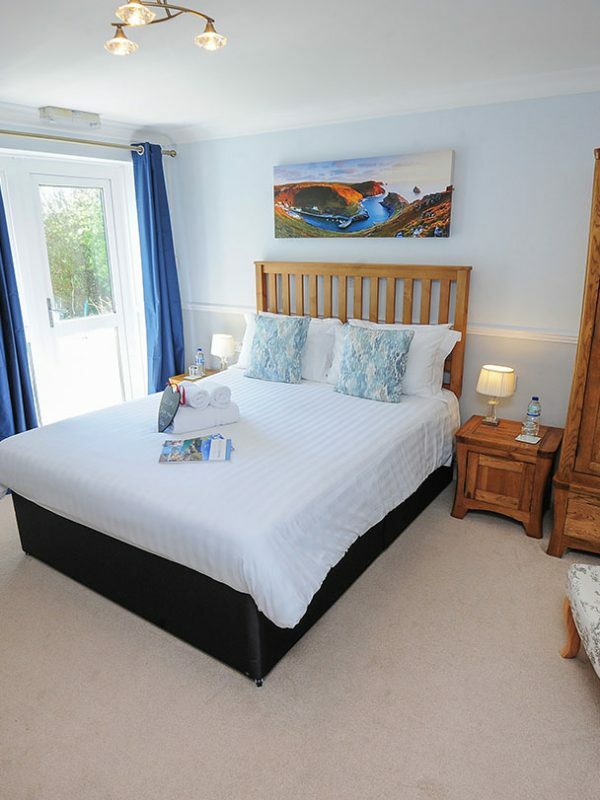 Whether you want a romantic weekend away or a fun family holiday, we have a room for you. Mevagissey is a beautiful and historic town, home to Cornwall’s pilchard fishery. Our history of boat building dates back to 1745, and the beautiful harbour is filled with classic Cornish charm. From watersports to history, there is so much to do in the area. Our hotel is set in the perfect location, giving you the chance to easily explore the beauty of Cornwall throughout your stay. We really wanted somewhere beautiful and comfortable to stay while on our mini break to Cornwall. Mevagissey Bay Hotel was just what we needed. It’s a beautiful hotel at the top of the hill with gorgeous views, and the staff were so kind and accommodated all our needs. The bar was open until 11 which we utilised fully before and after our outings, and the full Cornish breakfast in the mornings hit the spot!